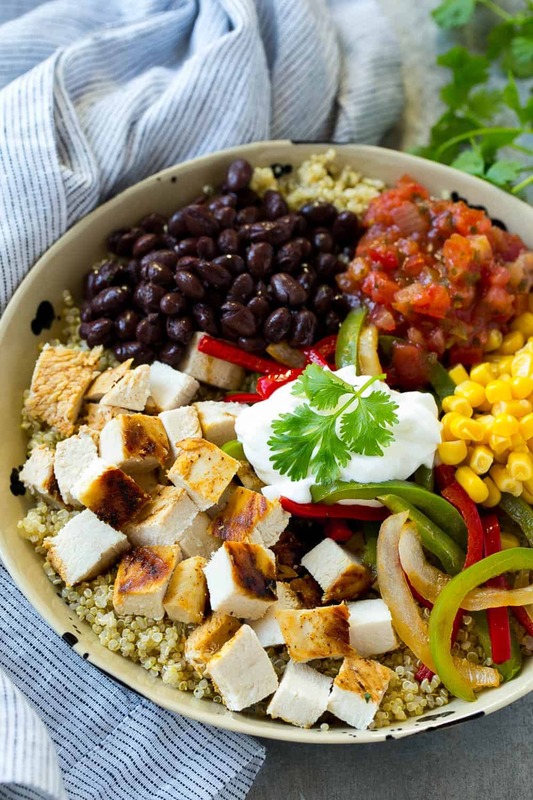 There’s so much flavor in this Mexican Chicken Quinoa Bowl Recipe. 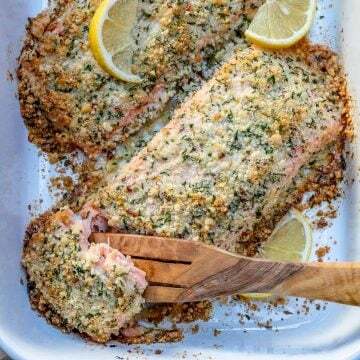 Packed with good protein and feel good ingredients that make the ultimate dinner recipe. 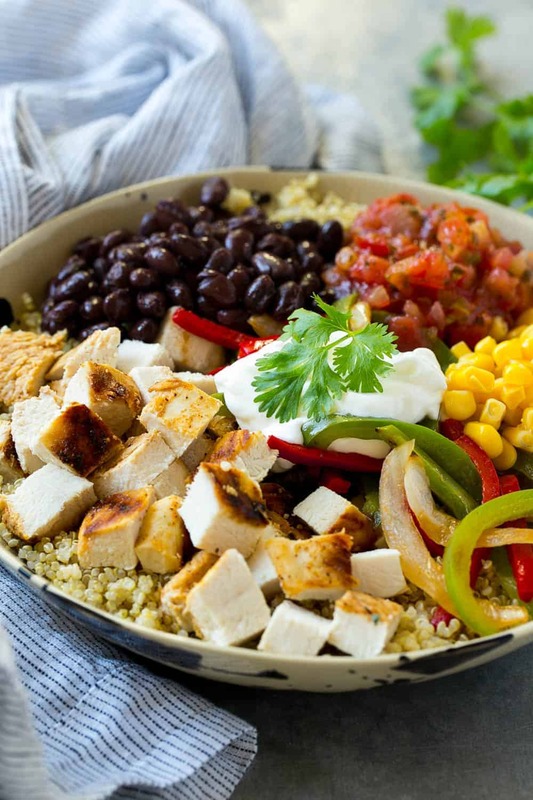 We love this Mexican Chicken Quinoa Bowl Recipe. 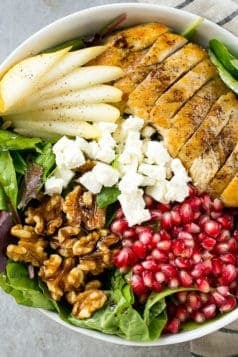 Bowls are a great way to explore new foods. 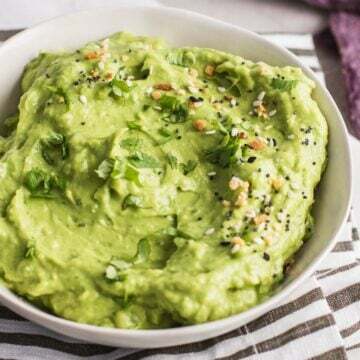 This meal can be whipped up in no time, right in your own kitchen. Plus, you can’t go wrong when you mix chicken and quinoa together and give it a Mexican flair. If you’re looking for something different to feed the family or your friends, then you need this Mexican Chicken Quinoa Bowl recipe in your life. 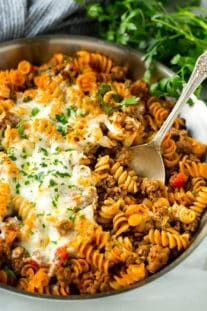 Flavorful, zesty, and easy to make are all ways to describe this dish. 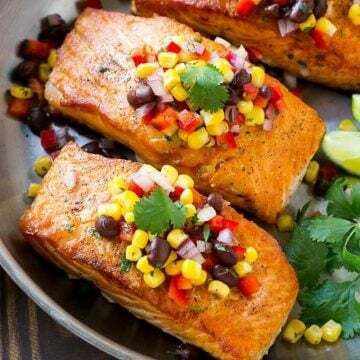 Get out your favorite Mexican themed plates because you’re going to have fun serving this dish to the family. 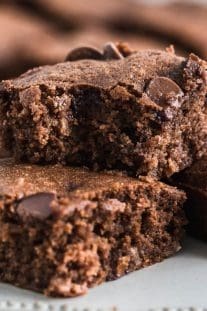 Memorize this recipe because everyone is going to be asking you “how” you made something so delicious. 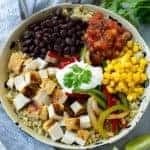 This Mexican Chicken Quinoa Bowl recipe is a guilt-free way to enjoy Mexican food any night of the week. They are also perfect for those that like to prep their meals ahead. The question is what goes in your burrito bowl? 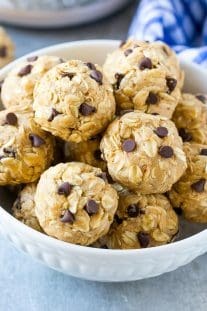 How did you make it? 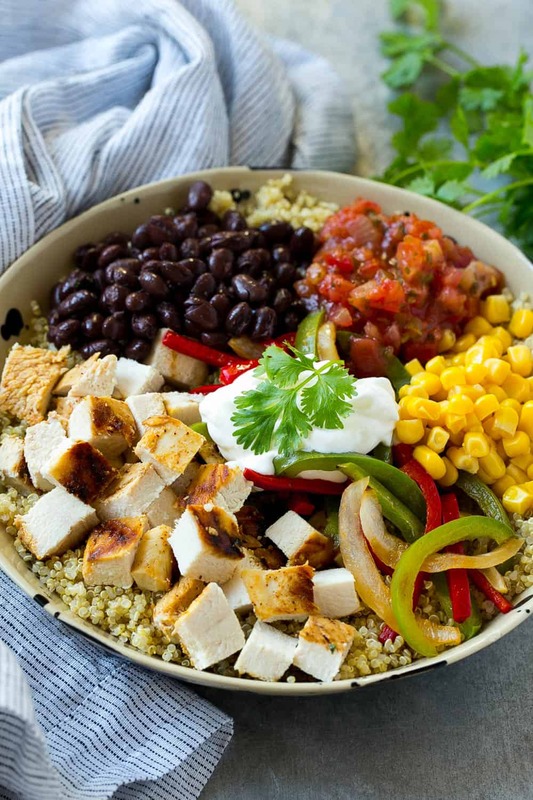 Depending on the ingredients you used will determine whether your burrito bowl is healthy. Go for healthier options when making your burrito bowl. 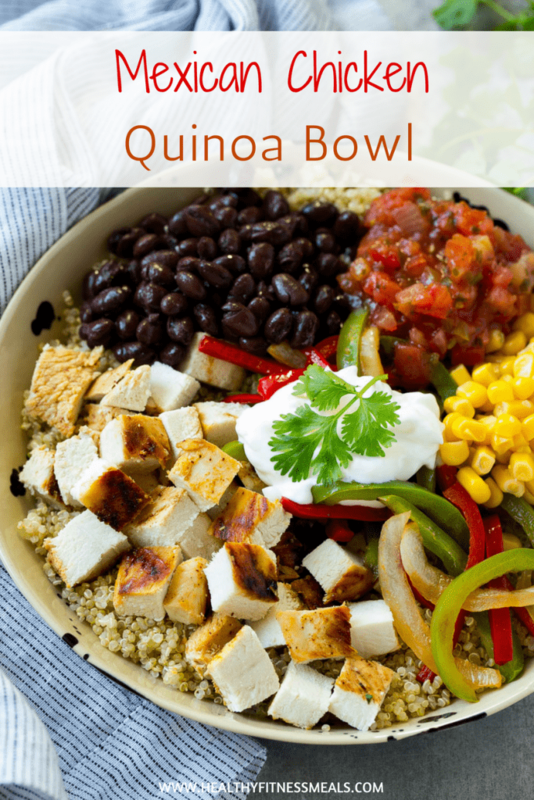 Like this Mexican Chicken Quinoa Bowl recipe, you can use quinoa instead of rice for example. Go with grilled veggies and load it up with grilled chicken. 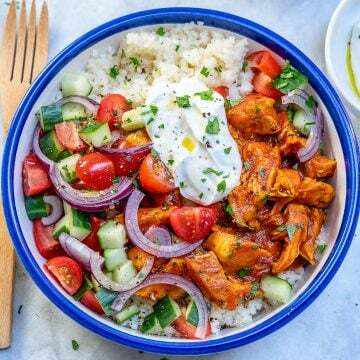 Typically burrito bowls are healthy if you reduce the number of carbs that go into it. 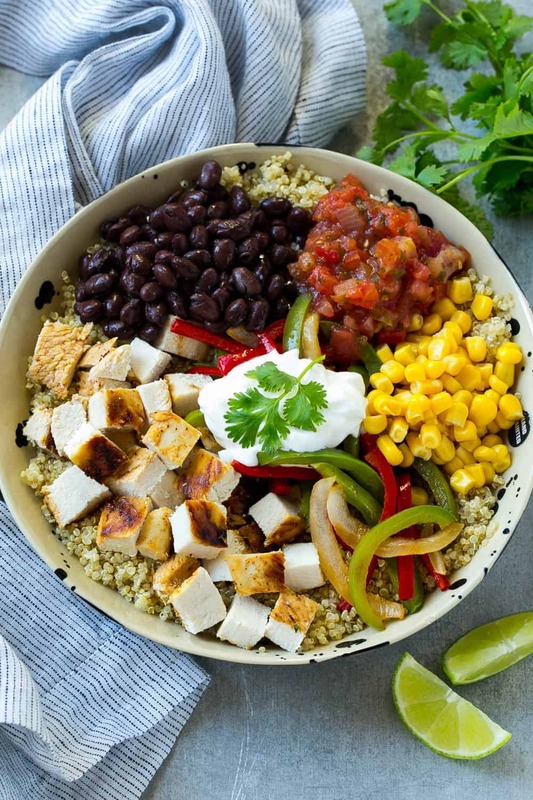 Make this Mexican Chicken Quinoa Bowl and let me know your thoughts in the comments below. Also if you happen to snap a picture of this I would love to see it and repost it on my Instagram stories. 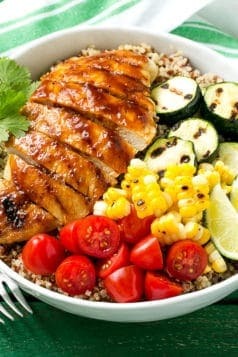 Mexican spiced chicken and veggies with a variety of fun toppings, all served over quinoa. To prepare the chicken marinade, pour the lime juice,3 tablespoons olive oil and water in a large resealable bag. Add the honey, salt, cumin, garlic powder, black pepper, onion powder and chili powder to the bag. Seal bag and shake to combine. Add the chicken to the bag of marinade, seal and place in fridge - marinate at least 2 hours or up to 8 hours. In a large pan, heat the 2 teaspoons of olive oil over medium-high heat. Add the peppers and onions and cook for 5-6 minutes or until tender and slightly charred. Season to taste with salt and pepper. 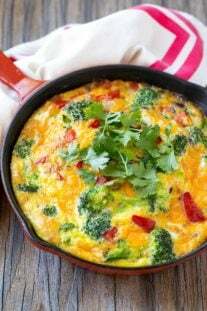 Remove the peppers and onions from the pan; place them on a plate and cover with foil to keep warm. 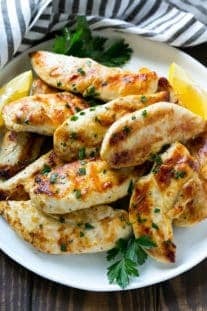 Wipe out the pan with a paper towel then remove chicken from the marinade and add it to the pan. Cook over medium heat for 4-5 minutes on each side or until cooked through. Cut the chicken into cubes. Divide the quinoa evenly between four bowls. 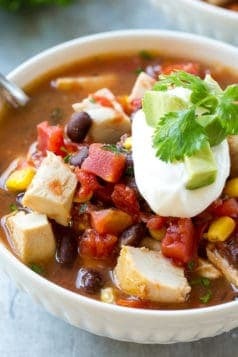 Top the quinoa with the chicken, vegetables, black beans, corn, salsa, and sour cream, then serve.